Hey look, I don’t agree with what your critics say about you My single best tip for a job interview I hope you will be treated unfairly I had a bad day This iconic (and tiny) fashion trend will be all over your office this summer That bad restaurant review you read on Yelp may have been influenced by this odd thing You love what you invest yourself in Emotional intelligence: what is it and how can you improve yours? 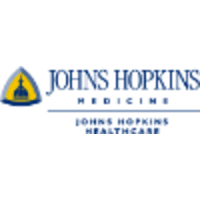 Johns Hopkins Community Physicians (JHCP) is looking for an Internal Medicine Physician - Office Medical Director to join our well-established practice in Montgomery Grove, MD. Enjoy regular hours with night call less than once per month, allowing you ample timeto experience all the activities that the area has to offer. We offer a competitive salary, excellent benefits, and the opportunity to practice high-quality medicine as part of theJohns Hopkins Health System.